ROYAL MAIL want to slam down the shutters permanently on four post offices in Camden – but their cost-cutting scheme has been met with a furious response by customers, politicians and celebrities. The last post was sounded for branches this week in England Lane, Belsize Park, South End Road, South End Green, Crowndale Road, Somers Town and Highgate High Street, Highgate under a radical ­closure programme. Yesterday (Wednesday), more than 50 customers of the South End Road office including TV wildlife presenter Bill Oddie, author Deborah Moggach, actor Lee Montague and journalist Amanda Platell gathered to voice their opposition. They say the branch not only provides vital services, but its future is also linked to other shops in the area. Hampstead and Highgate MP Glenda Jackson, who battled to keep the post office in South End Green open two years ago, criticised the plans. 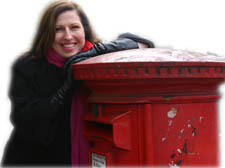 Now the MP has written to Royal Mail voicing her protest. Royal Mail say the ­closures are vital as small branches cost £3 million a week to subsidise. They have chosen offices which they say are not making large enough profits and have other branches nearby. Postmasters are being offered sweeteners of around £70,000 to close – a figure that has led to further criticism. In the south of the borough, the Crowndale Road office was used as an excuse just two years ago to close another branch in the area. When the Royal College Street office was closed, the Post Office told customers that it was unnecessary to keep open because of the nearby Crowndale Road site. Now people wanting to use the post office will have to travel to the Camden High Street branch – where queues mean waits of up to 45 minutes happen regularly.